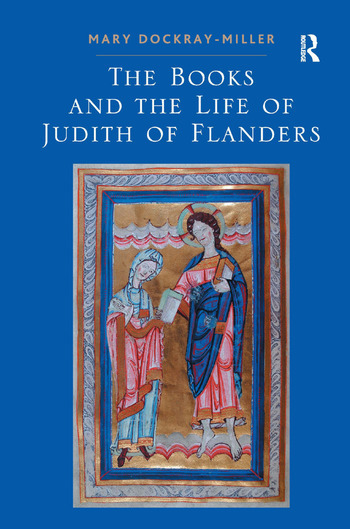 In the first full-length study of Judith of Flanders (c. 1032-1094), Mary Dockray-Miller provides a narrative of Judith’s life through analysis of the books and art objects she commissioned and collected. Organizing her book chronologically by Judith’s marriages and commissions, Dockray-Miller argues that Judith consciously and successfully deployed patronage to support her political and marital maneuverings in the eleventh-century European political theater. During her marriage to Tostig Godwinson, Earl of Northumbria, she commissioned at least four Gospel books for herself in addition to the numerous art objects that she gave to English churches as part of her devotional practices. The multiple treasures Judith donated to Weingarten Abbey while she was married to Welf of Bavaria culminated in the posthumous gift of the relic of the Holy Blood, still celebrated as the Abbey’s most important holding. Lavishly illustrated with never before published full-color reproductions from Monte Cassino MS 437 and Fulda Landesbibliothek MS Aa.21, The Books and the Life of Judith of Flanders features English translations of relevant excerpts from the Vita Oswinii and De Translatione Sanguinis Christi. Dockray-Miller’s book is a fascinating account of this intriguing woman who successfully negotiated the pitfalls of being on the losing side of both the Norman Conquest and the Investiture Controversy. Contents: Introduction: Before Northumbria; Lady of Northumbria, 1055-1065; The English books; Frontispiece portraits and exile; Collecting treasure as Lady of Ravensburg; The relic of the Holy Blood; Appendices; Bibliography; Index. Mary Dockray-Miller is Professor of English at Lesley University, USA. She is also the editor of The Wilton Chronicle and is the author of Motherhood and Mothering in Anglo-Saxon England.